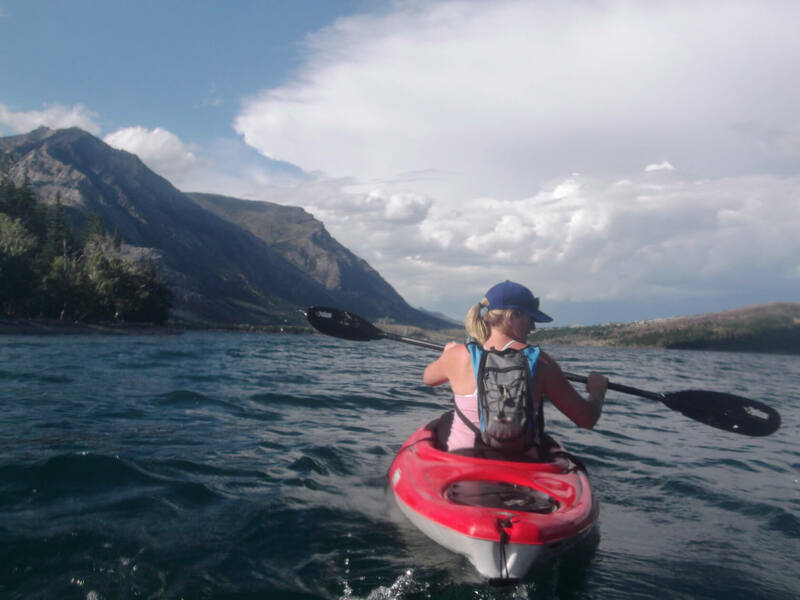 I have been dying to get back in a kayak since being taught by Olympic medalist kayaker Adam van Koeverden. 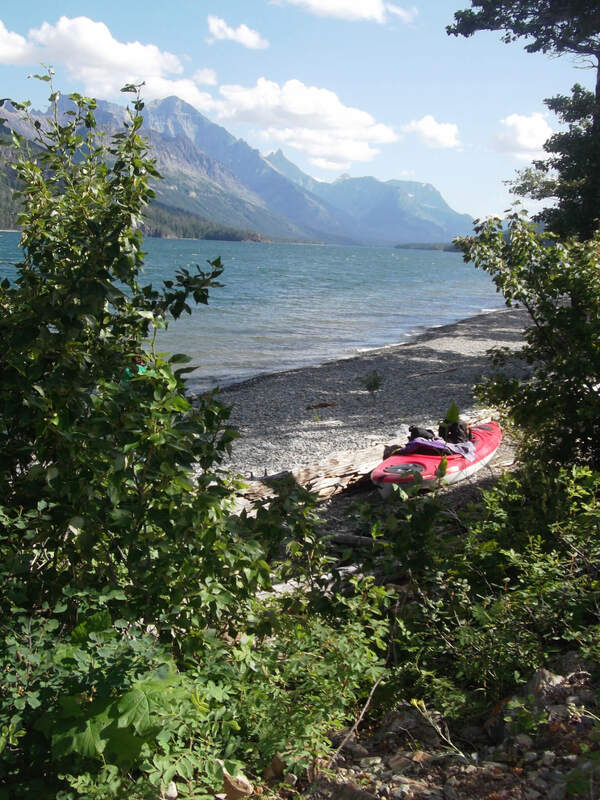 Over the long weekend, Ryan and I borrowed my uncle’s kayaks with plans to kayak down Waterton Lake and camp at the back country camping area on the border. It seemed like a clear enough day until we got to the lake shore and saw how choppy the water was. 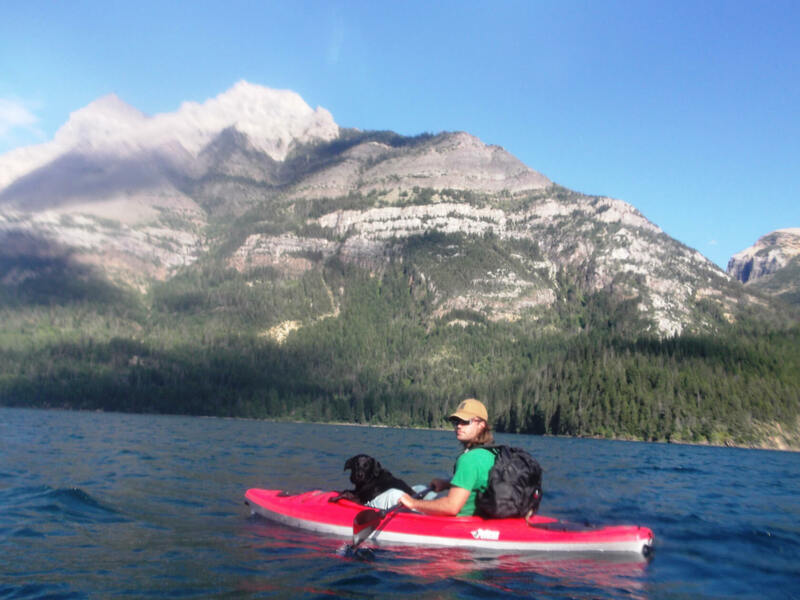 But I wasn’t about to let that stop me, we forced the dog into the kayak with Ryan and took off. We were kayaking right into the wind and the wakes were choppy and soaked us pretty good, it gave me a feel for what sea kayaking must be like. My arms were killing me when we hit Bertha Bay (maybe 2 km down the lake) so Ryan and I agreed there was no way we would make it the 7-8 km down the lake to the border campsite and decided to spend the night in the Bertha Bay campsite. We pulled up, set up our tent, and spent the day lounging in the sun and exploring the beach. Pretty spot to pull up. Around 4:30-ish we noticed black clouds on the horizon and began debating whether or not they would make it to the park. We decided that it wasn’t worth risking being caught in the woods in a little tent with the dog in a storm and sadly packed up and headed back for the car. The way back was a lot of fun because if you caught a wake it was like surfing. It would push you ahead with little to no effort. I was bummed that we didn’t do the overnight thing, but when the hail blasted our home in Magrath that night I was grateful we didn’t risk it. We are definitely going to have to purchase our own kayaks soon because I could easily make this a regular weekend thing. What gorgeous views! 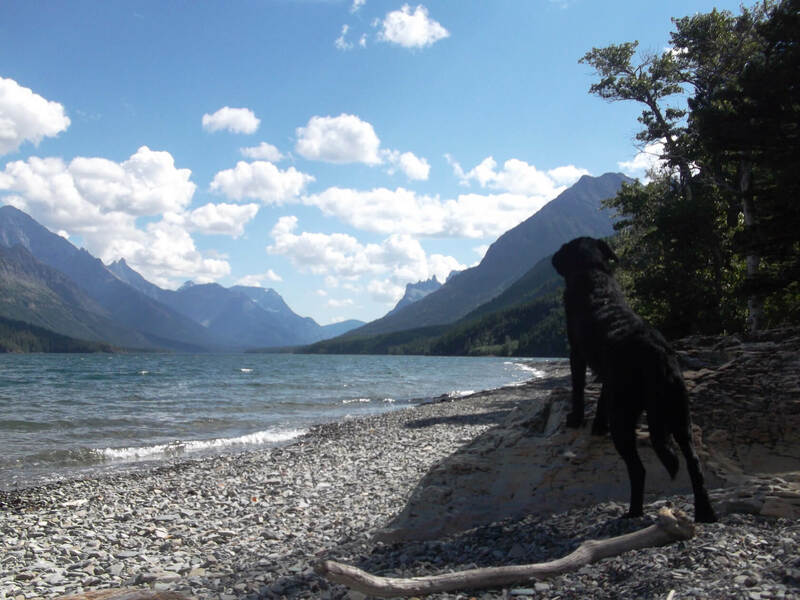 This is just north of Glacier National Park (in Montana, USA), right? It looks like you paddled in wearing your backpacks? Did you do anything to waterproof them? I do a lot of backpack camping, but I’m preparing for my first kayak camping trip. I’ve done a lot of kayaking at home in Seattle and I’m comfortable with paddling one, but combining this with camping is new to me. Yes, Waterton is immediately north of Glacier. They are actually an international peace park. We didn’t waterproof our backpacks and were fortunate that they didn’t get very wet. Our tent and sleep bags were stowed in the front of the kayak in waterproof bags. I am still trying to get a good three day trip in this summer. Exploring on water is so amazing! I think ten years makes you a native! 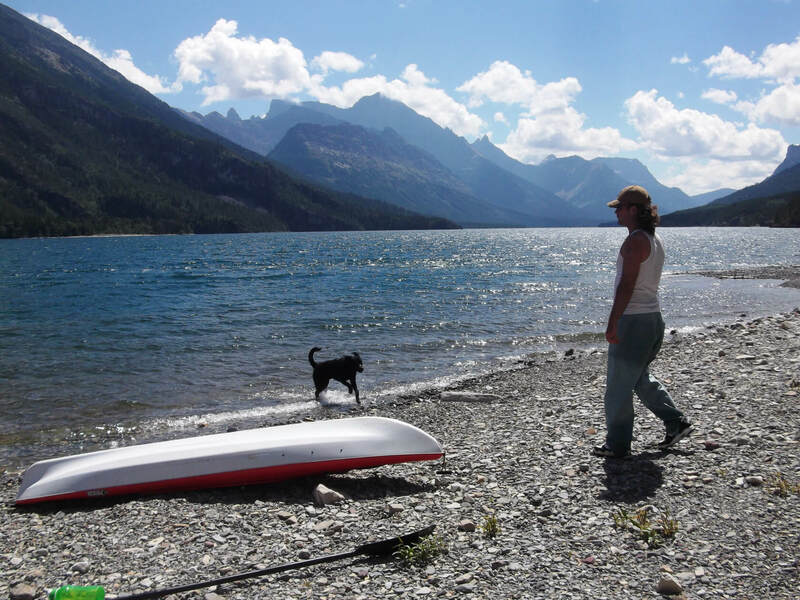 How do the northern Rockies compare to the Cascades? 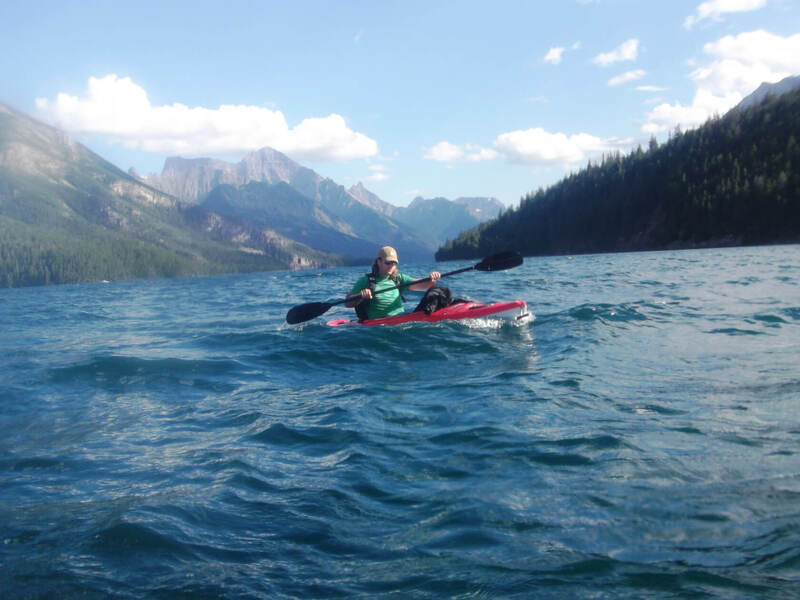 Do you have any pictures from Banff, Jasper, or Yoho? Can you be talked into making more posts showing off your mountain scenery…? The Rockies are much more dramatic. More stone than vegetation, which makes sense since they get a lot less rain. The rockies also are at a higher elevation. No pictures from Banff or Canmore. I usually stick to Waterton. 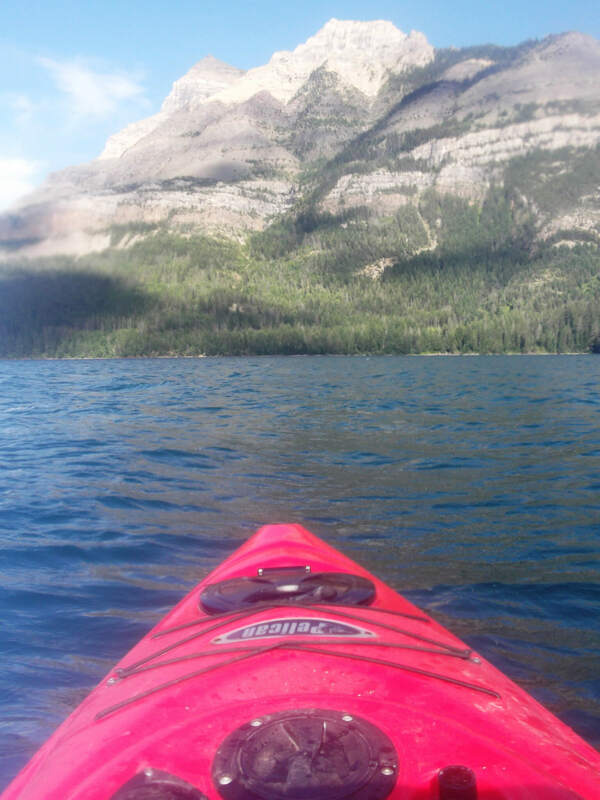 I don’t have a photo gallery but if you searched categories under hiking, you’ll see a lot of beautiful shots from around Waterton. So much fun! Kayaking is such a great workout too.. my arms are always sore afterwards!